JD BizX – Multipurpose OnePage Joomla template for startups, product landing pages, and app launch. JD BizX is a multipurpose one page Joomla template comes with multiple colours and layout. It has a Dark colour layout and Light colour layout. Each layout comes with video slider layout, Image slider layout, and particles layout. If you are planning to start a startup website or want to create a product launch or app launch landing page, this one page Joomla template is the best choice for you. It is developed on powerful CSS framework Bootstrap 4 and built with drag and drop page Quix Pro page builder. ET Bakery is Responsive eCommerce Bakery Joomla template that for bakeries and sweet shops. Bakery Website Template invests so much in rich colors and space for high-quality images. It builds with latest Bootstrap CSS Framework, Support Font Awesome and K2 extended style. Bakery Website comes with flexible homepage which drag-drop layout and full-width layout, strong shortcodes, unlimited module position, and has drag-drop tools. 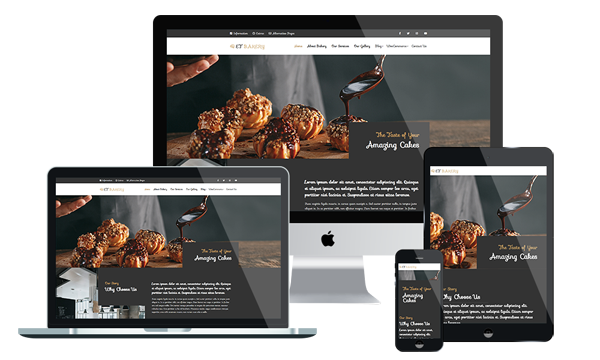 Joomla template for bakery website is fully responsive, so they’ll render well across multiple platforms. Also, they’re cross-browser compatible, so they’ll operate well in different web browsers. Contacting your bakeshop is even more convenient online because of the feature-rich of the template, such as the drop-down menus for placing orders online or the Google maps to people can find your location. Besides, Bakery Website Template is also included 4 color schemes and boxed layout to make your template look more motivated and attractive. Showcase your most delicious treats in ecommerce website templates, making the best galleries, carousels, sliders, and other features. ET Spa is Responsive Beauty and Spa Joomla template that targets for beauty salon websites. Spa Website Templates build with latest Bootstrap CSS Framework, Support Font Awesome and K2 extended style. With style options like advanced theme options and alternative module layouts, you have control over the look of your website. Besides, it comes with 4 color schemes helping to create excellent websites with various layouts. You can alter style aspects like coloring to tie your website to an existing brand which identities for a professional appearance. Furthermore, you’ll get a responsive website that can be accessed from any device. Your theme will utilize such features as cross-browser compatibility and back to top buttons, ensuring easy navigation of your website. Responsive and customizable designs that allow the owner to change every aspect, thus creating a new and interesting design. Browse Spa Website Templates and implement the best one on your site today! ET Agriculture is Responsive Agriculture Joomla template that targets for crop farms, cattle farms, farmers’ markets and agriculture website. 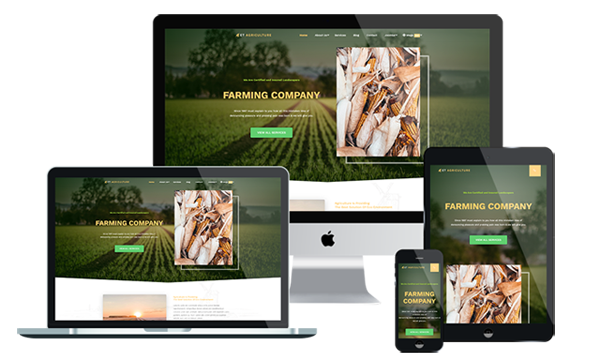 With Agriculture Website Templates, you can set up a polished, exquisitely designed website in no time. This agriculture website is built with latest Bootstrap CSS Framework, Support Font Awesome and K2 extended style. It’s 100% responsive by nature, so they render well across all platforms – mobile and desktop ones likewise. Furthermore, it comes with 4 color schemes helping to create excellent websites with various layouts. The main slider is the first thing a viewer sees on your site which is why we used high-quality images and smooth animation effects. This impresses the eyes and introduces the user directly to your offer and services without making him, or her feel crowded with commercials and banners. The big white spaces are extremely useful in creating a structured and clean design, offering a natural and simple navigation system. Promote your business using a great theme and increase your sales starting today! Bestro is a Business WordPress theme to create a website for any type of Business Finance and Professional Services. Bestro Business WordPress theme comes with powerful features. 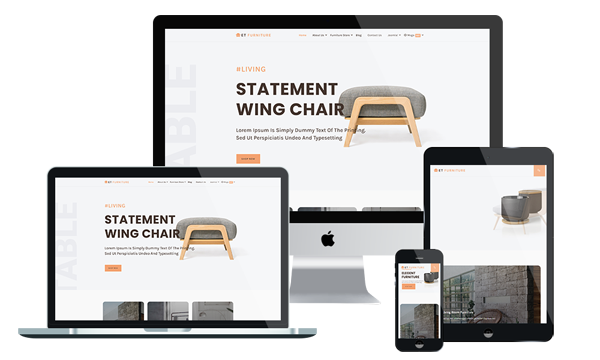 Bestro is a clean responsive wordpress theme. It includes plugins Visual Composer and Revolution Slider. The theme comes with the option of contact form to allow users to contact you. Bestro is fully compatible with latest version of plugins to allow you easy handling. The Bestro comes with one click demo and also more flexible features.